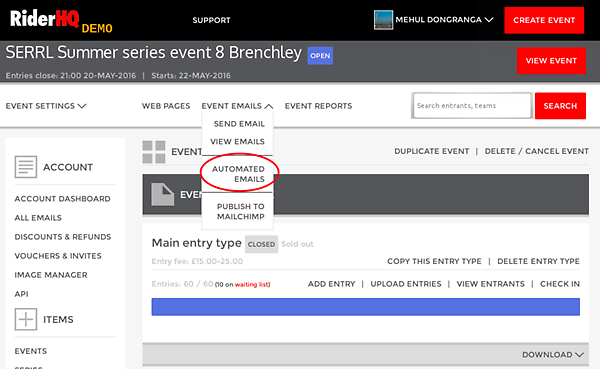 You can now schedule an automated email on RiderHQ to be sent to each entrant a week after they have entered your event. Finally, put any info, images, attachments, links etc. 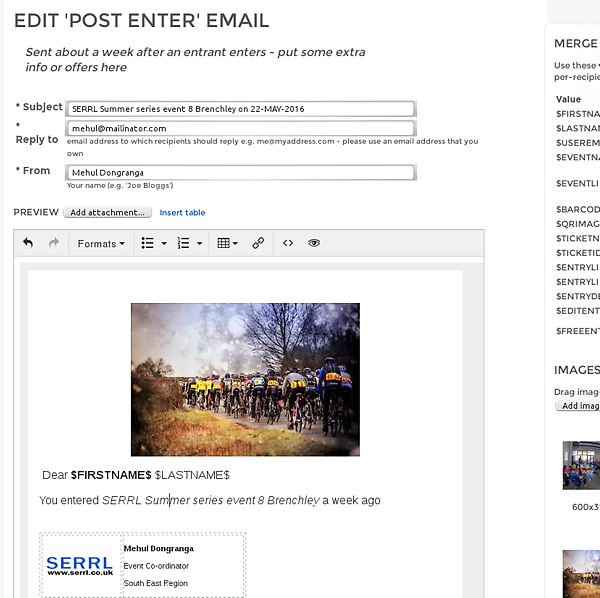 into your post entry email and save it. 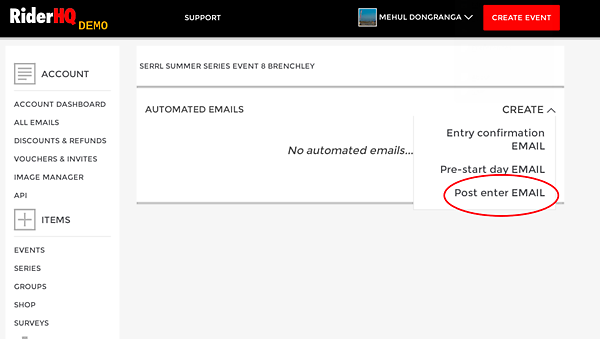 That's it, entrants will receive this email a week after entering.